Lightroom Classic Tutorials > Troubleshooting > How do I roll back to an earlier Lightroom release? Uninstall Lightroom. On Windows, you can do this from the Add/Remove Programs screen. On Mac, navigate to Applications > Adobe Lightroom > Uninstall Adobe Lightroom. Download and install the one-before-last dot release, also linked on that page. If you run into problems installing the update, the installation may be damaged. This can be fixed using the CC Cleaner app, but it’s worth backing up first to be on the safe side. If you’re a CC subscriber, remember not to click the Update button in the CC app otherwise you’ll be updated to the latest version again. 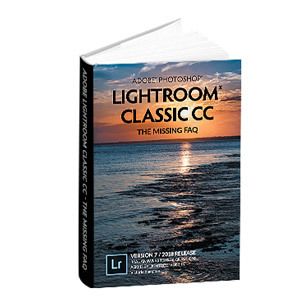 Thank you for the excellent articles and warnings about the troubles with the current Lightroom CC 2015.2 / Lightroom 6.2 release. In all fairness to Adobe I have only experienced a few crashes on my system since completing the upgrade but many of my students are reporting problems. I made a <video tutorial on whole roll back to Lightroom CC 2015.1.1 / Lightroom 6.1.1 process that might interest you or some of your readers. Thanks again for the great instructions and sage advice. Thanks for posting that David! I am trying this and I get 99% through the installation of 6.0 and then it goes not responding and I am stuck! No idea why. Which operating system are you running Juliet? And are you a CC subscriber or a perpetual license holder? Did 6.2.1 uninstall cleanly? Yes I am a CC subscriber, but its OK now – I restarted the pc and tried again and it worked. Thanks. Great video also, David. Very helpful. Where is this video you mentioned, and are thanked for in later posts? I’m scared to uninstall the new Lightroom and go back. Will I lose anything? Presets? No, it’s quite safe, although it’s always worth making sure you have current backups. The roll back works perfectly. Thanks Victoria. Not sure what Adobe was thinking with the new LR Import module. Admittedly the “old” might be a bit confusing for the new user but the fix is completely inadequate. I couldn’t tell where my images were going. Well, back to normal for now. Thanks again. Honestly, it takes the time to download plus about 4 minutes. Glad to hear it Colin. Let’s hope these instructions won’t be needed again for future updates! I didn’t think there was really any issue with the new Lightroom, until I my pc began slowing down, I’d closed LR earlier and found it was still hanging out in memory gobbling away. I am sufficiently experience to know about not updating as soon as an upgrade is released, but all the same did! LR 6.2 was not a good experience. The new import interface is awful. I will say no more, apart from the fact that I have gone back to using v6.1. Many thanks for the adobe links. Tried updating LR 6.0 (standalone) and it reported no updates available. I was able to download the 6.1 update. It failed on every attempt to update LR 6.0. Went to Adobe help, had a chat session, allowed them to screen share and they installed LR 6.2 (which is not the version I wanted). LR 6.2 requires Mac OS X 10.9. I’m running 10.8.5 and LR 6.2 runs. !!! But the Import dialog is unacceptable. So, I deleted LR 6.2, went back to 6.0 and once again tried the update with the link provided. Still get the same error. What error are you getting David? You should be able to install 6.0 from the link above, then download 6.1.1 and install that from the link above. I have rolled all the way back to 6.0, then downloaded using the link you provided. It fails. This is the same link I used previously before contacting Adobe support. Thanks for the link to the Cleaner Tool. I looked at and thought that might be a hammer where a scalpel is needed. Instead, I Uninstalled 6.0 using the Uninstaller, cleaned up some remnants, then reinstalled 6.0 from scratch. This time it saw the v6.2 update. Since I had already downloaded the 6.1.1 setup.dmg file, I used that instead. Successfully running 6.1.1. Thanks for the suggestion which lead to a solution. Excellent, thanks for the update David. Had the same problem. I had forget to unzip the folder. Hope that helps. LOL We’ve all been there Pamela! Thanks for the tip! It’s too bad that the ‘update’ is unwelcome, and so many people are wanting to roll back. Happy to help Juergen. That export bug should in theory be fixed in 6.2.1. I completely disagree. We’ve all lived long enough to be well-experienced with software changes & upgrades. The new import dialog is not an upgrade; it’s a downgrade with less features, more cumbersome, less functionality, less options. I usually look forward to LR changes; this is a nightmare. You’re definitely not the only one to feel that way Deb. I’d hope that the missing features will be added back ASAP. I dont understand your comment, only in case you are an Adobe LR developer. But LR CC2015.2.1 is messing up the performance and makes LR usage unusefull. It blocks after every 4-8 events from keyboard or mouse, as if it is unable to process the interaction queue. Unfortunatly Adobe support is not able to help or even recognize this issue. Downgrading before the update resolves this problem. So it makes sense to downgrade when the upgrade brake the applications usability. To roll back, could you not also use the previous Lightroom app stored in a Time Machine or other backup? I haven’t tested that theory, but I have had multiple warnings about the risks of people just trashing the app rather than using the proper uninstaller, so I’d leave a big question mark over that one. It might be fine, but I’d hesitate to recommend it as the installer is more complicated than its been in the past. Thanks, good to know! I took the plunge and tried it anyway (backing up the new app file first), and it seems to have worked. The app runs fine, and (most importantly) the old import dialogue is back! I see that there’s a LONG list of people on photoshop.com asking for the import functionality to be restored, so I’m hoping that will happen, but for now I’ll stick with 6.1.1. While I certainly agree with Victoria that the LR folks should have warned users about a potential change to their workflow, I personally think this was a serious faux pas from a business perspective. There are many working with LR for a living and the elimination of key import functionality used to ensure file renaming and location accuracy should never have been removed. BTW: I already voiced this on their official site to report bugs etc… specifically requesting it be put back in with a switch to allow advanced users to continue with their workflow. That’s the best place Matt, so well done. Honestly, I doubt the old one will come back, but I would hope to see specific functionality like a way of previewing the Destination returned. Sometimes you’re a little too emollient, Victoria. The one thing which would lay the present import troubles to rest would be a definite undertaking from Adobe to bring back the excised features as soon as practicable, whether in their original form or under an advanced tab in the new interface. Perhaps you could use your influence to persuade them to give such a commitment. Doubt and foreboding will continue while people are uncertain of Adobe’s intentions. It is easy to paint a scenario of continuing dumbing down on Adobe’s part as long as they continue to be silent. Hi Mr Gladwin. Yes, a statement from Adobe about their plans is definitely needed as soon as possible, to put people’s minds at rest. It’s just a matter of time. They won’t want to make any official statements until they’ve figured out exactly what they’re going to do. Tom Hogarty posted on his latest blog post a couple of days ago “Update October 12, 2015: With 432 comments and counting I just wanted to let folks know that I’m reading all of the feedback and the team will provide an update this week.” That’s likely an update in terms of what they plan to do, rather than a new build, of course. I’m pretty sure you can simply roll back by using Time Machine to restore the Lightroom application folder from a backup made before the update. That’s a lot easier. I think that it might be important for CC users to uninstall LR2015.2 from the CC App Manager window instead of the directions listed above which applies to Perpetual License holders. Both should get the same result, but certainly no harm in using the CC app to do so. What amazes me is how Adobe.com has completely said ZERO and will not admit to the horrible blunder and the headaches it has caused, not a single apology. Worst.,..an update to fix this is still nowhere to be seen. This has taught me a lesson, do NOT update right away, instead check forums and wait to see if all it clear. I depend too much on LR as its my bread and butter, even with backups it still means I can’t do my job on the spot, I had to try and troubleshoot first, search the net for feedback on the problem and to finally uninstall and install previous version. Time wasted which i’ll never get back thanks to adobe, so at the very least the can offer a sincere apology otherwise I see no reason to pay for a monthy sub when its better to just update once a year and not relive this tragedy. > This has taught me a lesson, do NOT update right away, instead check forums and wait to see if all it clear. Or just keep an eye on my blog. 😉 I try to post any significant issues as soon as they’re known. I’ve seen the rise and fall of Aperture which I found user-friendly, once you had read and understood the manual. From what I’ve seen, I’m afraid Adobe are just doing the same mistake Apple did when stopping Aperture. I’m seriously think of removing CC and finding other software. Or I might use a standalone version, even if it’s not immediately up to date, that would prevent me from doing the mistake I never did when I had standalone versions, updating immediately without waiting for feedback. I’m really fed up with that “cloudmania”, even if I’m using Dropbox and Google Drive to make pictures available to my friends or customers. But at least it’s not the same provider. I can understand that Jerome. For now I’d just hold fire and wait to see what their next move is. I haven’t seen any direct replacements for Lightroom, so I’d be really interested to know what you’d consider moving to. That’s exactly what I’m doing Victoria, I’ve just cancelled my CC subscription, and i’m going to stick to 6.1.1 and eventually choose Capture One for my new projects. Many apps don’t work on El Capitan, but at least Capture One Pro lets you “subscribe or buy” without cloud and apparently with the best RAW engine you can find. Still doesn’t work with El Capitan, but they too are working on an update. I’ll test as soon as an evaluation version is available for El Capitan… and Goodbye Adobe if it really fits my needs. I won’t stay with a company that keeps ignoring feedback about things as import and export options. I can also say Nikon, Leica and Canon are greatly responsible for that disaster with tethering sessions, and with Nikon it’s the same thing each time a new OS is released. We all make mistakes Jerome – even big companies are full of imperfect people. I think what they do next will be more telling. Worked Perfectly! I’m on a mac 10.10.4 and there were no problems. Add me to the list of people who upon seeing the new import screen were at first perplexed, then angry. I kept clicking on ‘preferences’ because I was sure that an ‘advanced option’ would bring back the features that were stripped away. Adobe released a response today saying that the #1 problem new users had was dealing with the import screen. It’s fine to address that, but DON’T take away features and make it harder for professionals to get their work done. The old import screen was complex because getting your photos into the right place, with the right names, and with the right keywords is critical to a professional’s workflow and the import process should not be a ‘one-click’ experience. If the import screen is too much of a hurdle then use Apple Photos. agreed. which is why I SYNC folders instead. I use playmemories app to copy images to my hard drive, it has enough features to customize. than i simply use LR to sync that folder and voila. LR import feature has been dumbed down to the point it insults the pro user. I get that the import feature sucked but to improve it and remove features truly is an insult. I hope adobe admits their fault and fixes it. it needs re-improving. Just be aware that there’s now a hiccup in Synchronize Folders in this release too. Comparatively minor, but you must either check the ‘show import dialog’ checkbox or only sync bottom level folders. It’s not working properly on parent folders if the import dialog isn’t shown. Your thoughts are shared by a lot of people Scott. If they’d added better alternative ways of doing things, perhaps in the Library module, I don’t think there would have been such an uproar about removing those features from the import dialog. Thanks! Rollback instructions works like a charm. You have yet another follower in me, Lightroom Queen..
Something good has come of it then! Great to meet you Kalle. I’m very very disappointed with Adobe for forcing the Lightroom team to push this update out when it clearly wasn’t ready. It’s very poor customer policy to foister a frankly hopeless release for the need for a splashy PR event, AdobeMAX. Some good news for you Paul – the roll back shouldn’t affect any of your presets or catalog or anything like that. I flip back and forth between versions on a very regular basis and it’s quite painless. Are there specific features you’d miss more than others? Thanks for the help, how can something like this get past testing! Scroll back to my previous post for the full info. In short, it was due to the Adobe Max marketing event – I’m certain the engineers wouldn’t have released it like this if they were given any choice. Ryan, that’s the really scary part: they INTENDED this. To be fair, I don’t think they expected it to be as bad as it has been. The problems have affected the new El Capitan release more than any other, and having the LR release so close to the OS release caused a few issues of its own. I made the mistake of installing the Lightroom update now none of my folders are recognized. The only way to see the photos in the folders is to import them. Any suggestions of what to do would be much appreciated. None of your folders are recognised? Can you tell me a bit more? You mean they have question marks on them? Or they don’t show up in the Folders panel? When I installed the latest update on my iMac my catalog was completely messed up, images appeared in the wrong folders, and even jumped from folder to folder. Lightroom was frozen and would only quit by forcing,and after a few tries the computer was frozen and would not respond. How strange Maurice. I haven’t heard any other reports of things appearing in the wrong folders or jumping around like that. If your catalog ok again 6.1.1? Yes, my catalog is ok and show no strange behaviour at all. Even some folder names were corrupter with jumbled names and the letters superimposed. The Adobe support person created a new catalog and then imported my old one. I’m glad to hear you’re back up and running Maurice! Many thanks for the roll back links. I am now back on safe and familiar ground. I he creative cloud. Does the roll back work there, too? I’m not a new Mac and still familiarizing myself with Mac. Any help would be appreciated. Thanks for the roll back receipe. I did it all and am back on the air. Don’t know what I would have done without you! You’re welcome Mike. Happy to help! The hot update seems to have resolved a number of the issues. I am still unable, though, to quit, even with the “Add Photo” preference turned off. This is sounding like the Photoshop Healing Tool fiasco all over again. I’ve seen a few reports on that one Chris, but nothing that can be reproduced on demand quite yet. Is this the Windows version? Or Mac? What’s connected to your computer – network drives, external drives? I’ve seen a couple of people have resolved the hang on quit issue by resetting preferences – have you excluded that possibility yet? That made me laugh out loud. Thanks Mark! Thanks very much for your principled review and presenting a solution for those that need to roll back Victoria when many of the Lightroom pundits are strangely silent. While it gets mentioned occasionally, the ability to toggle 100% in loupe view to evaluate focus is a very important feature for me in the import module. I’m a wildlife photographer and often will take literally hundreds of images of fast moving birds, hoping for that one killer shot. I want to quickly shift through my images, assess which ones nailed focus, and only import them. I know there are many event and sports photographers with this type of workflow as well. It is plumb silly to import the hundreds and even thousands of images, wait for 1:1 previews to be generate, make some picks and then delete the rest. Talk about a convoluted workflow. To be honest, in this situation I often use Photo Mechanic because the Lightroom import module is too slow at rendering the embedded jpegs. So I want the 100% loupe back and I want improved preview performance. Pretty near every other image viewer on the planet is faster than the Lightroom import previewer. I hope you agree and can help champion the return of this functionality. I also miss the loss of the other functionality but it is getting lots of attention. If the LR team needs help on their priority setting I sure would like to see improved performance generating thumbs in the library module. Speed and stability first, enhancements second. Thanks for the feedback Rory, and I’m really pleased to help. Photo Mechanic’s probably the better tool for the job in that scenario, to be honest, and would be my recommendation whether Adobe brings the 1:1 preview back or now. The Import dialog’s never been a great place for culling, because if you close it by accident or it crashes, you lose all of the selections you’ve done. Well, the same can be said for PM :*) I guess my frustration is that the LR import module was so close to meeting my needs, and just about every image viewer I’ve used is fast enough – except LR. I have found the import module to be stable – perhaps that is not the case generally. If that is so, why are we so accepting of adobe’s poor coding for performance/stability? Seriously, I just sat down with Qt and made a couple of additions to their image view example and was able to create a faster viewer than the LR import module – and I’m not a real programmer, just a dilettante. Interesting, I’d love to see what you came up with Rory. P.S. Can PM not write to XMP immediately? I haven’t used it in some years. Victoria …I think one important step may have been missed so I’m going to do this step by step here for the benefit of anyone else trying it. The instruction didn’t say we should first find and record our serial number. I followed the uninstall instruction and when I arrived at the download page was informed that my serial number would be needed. I thought with Creative Cloud our Adobe ID and password was all we needed. I have those and also the confirmation# for my CC subscription but not the serial number of the program, since it is always updating by virtue of being a subscription. I went to my Adobe account and it shows the last# but I think that might be for the last one I purchased prior to getting Creative Cloud. Step 2 reads: Download and install the 2015.0 / 6.0 release but at the link supplied there is no 2015/0, only a 2015.0.1 so I tried that and it is only an ‘update’. It is not the full program. None of the files listed there are more than 224 mb so they all appear to be update patches. There are 2 installer files higher up that page in a separate section …one for mac and one for windows so I’ll try that and see what happens. Leaving this open while this takes place. Ok …so I got that file …it is just a zip file with no exe or setup file within it …so I don’t know how to apply it. If I click on About/Updates .., that just opens my CC program and by the look of that it just wants to install the disaster version again …so I’m not going there. Anyone know how to complete step 3 …or should I just quit while I’m ahead and wait for a proper update? Oh …actually during the install, LR recognized me and didn’t ask for the password so not to worry about that!! Well done Jay! Yes, there’s no license number to worry about if you’re a CC subscriber, and it should remember the license for perpetual license holders automatically. I upgraded to Lightroom CC 6.2.1 on my mac. When I imported a new batch of 71 images today. They seemed to import correctly but then the thumbnails started to lose the actual images but remained in the LR folder as black thumbnails. the whole lot turned black whilst the “building 1:1 previews” measure completed its move from left to right. My previous import correctly shows 71 , so LR thinks I have a new set of images but all I have is 71 black thumbnails. I have checked lots of forums but can’t find any reference to my problem. It is a strange one because I have the latest LR version on my macbook and had no problems at all importing to that. I am still on Yosemite, I don’t intend to upgrade to El Capitan for some time!! I hope you can help Victoria. Thank you so much Victoria, such a simple solution when you know how. Everything is working fine now and I don’t seem to be getting the problems others are experiencing. I tried rolling back, but the 2015.0 / 6.0 release from https://helpx.adobe.com/lightroom/kb/lightroom-downloads.html but it is no longer available. So it looks like I’m stuck with the defective 6.2.2 version until Adobe cleans up their act. I can still access the page but will have to wait until I get back to my desktop to try the download. Are you getting an error message? I’ll follow it up for you. I’m back on my desktop and it’s downloading ok here, so let me know if you’re still having trouble. Might have been a temporary server hiccup. No error comments, the 6.0 file is not there. Try a different browser. It’s definitely there because I just downloaded it. You could also try signing into your Adobe account before downloading. I’ve seen the errors of my ways. I was looking for the text 2015.0 / 6.0 instead of Download. I appreciate your help. Easily done, at least you’re back up and running! Thank you SO much for posting this up. Worked like a charm and saved me yet ANOTHER day of trouble shooting. #Adobe, get your stuff together!! Thanks for the magic decoder ring to return to 1.1 and a hassle free work flow. I will wait for our blessing on a future update to LR before moving forward with the next update. 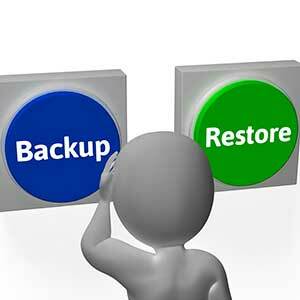 For Mac: If you have a Backup (TimeMachine), only restore the lightroom-app 6.1.1 from the backup-folder. That’s all. I tried to use the latest release but have now downgraded…. It’s quick, it’s fast, it’s like an upgrade should be! Many thanks to you, oh Queen of the Lightrooms, for these simple instructions. No more crashes, no more inability to import. I kneel at your throne. LOL no kneeling needed here Lawrence, it’s just a nickname that stuck! 😉 Really pleased to help. MANY thanks for your help on this. I’m back with a usable program once more. PLEASE add your voice to all of those who are calling on Adobe to reverse this retrograde “upgrade”. You’re welcome Chris. And don’t worry, Adobe are very well aware of my thoughts on the subject. I’ve just had a bit more time to calm down than most, and had my say in private. Thank you Victoria, you saved my life. Adobe has caused me so much stress, time, and money this week. They owe me a free month at least. THANK YOU Victoria for this tip, it worked perfectly for me. What an invaluable Lightroom reference. You’re welcome Andrew! I just wish it wasn’t needed! I’m back to a stable and performant version of LR as it used to be since V1. I also installed the dodgy version, then imported some images & did some work on them, i.e. develop settings & even sent a couple over to Photoshop & back. If i now roll back to the previous version will i lose all that work. ? No, that’s stored in your catalog so it’ll be fine. 6.1.1 will just ignore any local dehire, but will understand everything else. One more problem I have sorry to be a pest, the little sync boxes to LR mobile don’t work, can’t switch them off. Try restarting Lightroom. I see that occasionally and that usually does the trick. Thanks so much for these instructions! So glad to be back to work. I appreciate it! Thank you so much! I’m an amateur photographer, and have been using LR & PS for over a year now (fairly new to them)… love them, but after the update to LR… everything was deathly slow and frustrating! I stumbled on this website accidentally after researching why my LR was so slow, and I followed the instructions, and I am up and running with the 6.1 version now! Life is good again! 🙂 Thank you for this site, and for the instructions on fixing the issues! I’m really pleased to hear it Mandy! Hi Lightbox, nice to meet you. There are direct download links on this post https://www.lightroomqueen.com/whats-new-in-lightroom-cc-2015-2-1-and-lightroom-6-2-1/ but some people are still having a few stability problems, so if you’re not in a rush for the local Dehaze or the new camera support, I’d just stay on 6.1.1 for now. Gosh – I was having photo kittens! The import update was so bad and also it kept on saying stuff was not there when it was – thank you! Back and running in less than 5 minutes. Question. When it said that I had files already and because there was no option to import duplicates (don’t ask why, but I wanted to), I could find individual files but LR never shows the source/folder like a mac does with spotlight search. This made it next to useless as I have 8 2TB hard drives and without knowing where to look, and so where to go, I might as well not bother. Is it possible to tell LR to name where they are? I have wondered for years and then just got on with the stress of life. I’m not sure I’m quite following you… is this in the old import dialog or the new one, you mean? What were you trying to find – where the duplicate you’re trying to import was stored, or where the other version of it was stored? Hi Victoria. Thanks for the instructions. I let the upgrade to 6.2.1 run on my Win7 system before seeing your warning. Now I am trying to follow your rollback instructions. I uninstalled LR, then downloaded the Windows app for 6.0 from the Adobe link that you provided. It downloaded a file called Lightroom_6_LS11 with no extension. When I try to open this file, it asks me what program to open it with. I assume this must be a packed file, but I don’t know what to do to get further. Can you suggest what I should do next to get it to install? Any help very much appreciated! Good old Windows! Try adding a .exe extension. Resolved my issue by simply renaming Lightroom_6_LS11 to Lightroom_6_LS11.exe. Sorry, I should have persisted longer in my own efforts before resorting to posting. A couple of days ago, my old C: (internal hard drive) on my laptop died, and I had it replaced by the Geek Squad. They were only able to do an install of Windows 7 Home Premium and no other software. I have been reinstalling software, and finally got to Lightroom. I had LR 6.1.1 installed before, and reinstalled 6.0 and patched it to 6.1.1 following your instructions. Everything went smoothly (after a couple of bumps which I don’t need to go into here), until I copied my backup catalog from my external drive. The problem is with the old C: drive on my HP laptop, the external drive was labeled I:/ Now after the new hard drive was installed, the same external drive is lettered E:/ by Windows. So, the catalog I loaded shows all the folders on the old I:/ drive, but shows them as missing. What’s the best procedure? Just re-import the photos from the E:\ drive? Or is there a way to tell LR that the new E: drive is the same as the old I: drive? I shall await your response with great anticipation (sorry, got that line from the animated movie “Chicken Run” which I thoroughly enjoyed). Thank you so much Victoria! I am amazed you can respond to all these queries (some of them a bit thick-headed like mine :>) ) so quickly and with such aplomb at the same time. Especially after the rather trying week you have been obviously having. I am impressed with your ability to get to the heart of the matter in these queries in a technical sense and keep a good sense of humor at the same time! You are providing a service that Adobe should be providing, but isn’t. So, I took your advice, just right-clicked on the pictures folder under the I: drive which contained the missing folders in the catalog listing, told LR to find the photos, and pointed to the E:\ drive. Worked like a charm! All the folders underneath lined up perfectly as well. By the way, love your new books (the full FAQ book and the Quick Start Guide). To sum up, you are one very smart, and patient, person! Thank you again! Thanks Dennis, happy to help! I have been away from my Mac computer for 3 weeks as I have been travelling. So I have not used Lightroom . As a consequence not downloaded Lightrooms recent update. My concern is that as my Lightroom is the CC version the new update will be automatically downloaded once I launch Lightroom. Hi Sue. Don’t worry, it’s fine. You’ll see the update show up in the CC app, but unless you press the update button, it shouldn’t install. And even if you did update by accident, it’s very easy to roll back using the instructions above. Just to complete it. If you are using on1 Photo 9.5, there plugins are not working in LR 6.2. A fix is not yet available. The LR mostly launches if you double click on the catalog in finders. Mostly crashes if I click on LR. How is it that this blog is so helpful and Adobe is so useless. That’s an odd one Jeffrey. Is this in 6.1.1 or another release? Hi. I’ve just downloaded and followed your instructions above but am unable to install the second file. What might I be doing wrong? It seems to work ok for me, except that it will not shut down; I have to “force quit”. The Force Quit is a known issue in 6.2 and 6.2.1, but should be fixed in the next update. I’ll bet it’s probably the internet one. There’s a related bug that’s been tracked down, but only affects specific internet connections (generally slow or unreliable ones) so it was hard to identify. How’s your internet Steve? I connect exclusively via wifi, and most of the time it is not great. I upload a lot of pictures from Lightroom to SmugMug, and there are only a few Starbucks where the process really works well. But I do most of the editing at RV parks where service is extremely iffy (even with my phone hotspot). When I started having the “force quit problem,” I noticed it was usually when the wifi was not working well. Even though I’m not uploading pictures then, I usually leave the internet connected to get mail and check up on some other stuff (or take a break to look at Facebook or read Powerline). So I started disconnecting the internet and things seemed to work better. Then I googled the problem and found your site and basically got my suspicion confirmed. It seems that if the internet is connected, LR tries to use it even if I don’t tell it to. But it doesn’t seem to have a problem if it’s not there when I want to exit and make a backup. Now I exit at least once a day to see if it still works, though normally LR would be running for days on end without ever being shut down (being used for many hours on most of those days). Anyhow, Victoria, thanks for having a spot where I could find out what’s going on. I shall probably wind up buying your FAQ book as thanks (and, of course, for more help). Happy to help Steve! You’ll love the book! Oh, what about that hot fix from Oct 9? after suffering as well from not working export in latest Lightroom version on Mac OS X 10.11.2, I rolled Lightroom back, according to your advice, and everything is back fine. Thanks a lot for your useful tips! 1. Splitting of multiple-word keywords into individual keywords. Keywords such as “state park” would be uploaded to flickr as “state park”, “state”, and “park”. This happened immediately after updating to 2015.2.1. 2. Memory issues. LR became almost unusable after a few weeks of 2015.2.1. 3. Upload problems. I could only publish 3 photos at a time to Flickr via the LR plugin. Progress bar would just sit still for hours. No error message ever seen. All 3 problems seem to be fixed so far after uninstalling 2015.2.1, then installing 2015.0 and then 2015.1.1. Thank you! I should add that the upload problem only started occuring in the last few days. And the memory problem was very disconcerting considering I’m using LR on a brand new 64-bit Win10 PC with 16GB of memory. But like I said, 2015.1.1 seems to be working well, at least in my initial usage since the reinstall. I have LR 5.7.1 and plan to upgrade to LR 6. Is it okay to do the upgrade now to accomodate the corrections made to the software. Thank you! Yes, most people are fine with LR6 – just make sure you install 6.0 then 6.1.1 from the links above, if 6.3 hasn’t been released by the time to purchase. Or be really sensible and install from the links above and run it as a trial for a couple of weeks before making a decision. I thought I was being smart but found some unexpected results. I have LR 5 perpetual license and also have a CC Photography subscription. To overcome the present problems I thought I would upgrade to the standalone Lightroom 6. I paid for there upgrade and downloaded the dmg. When I installed it, using a new Adobe ID with no CC subscription it still replaced my 2015.2.1 CC version completely. I had perhaps been naive in thinking it would remain as LR5 did as a stand alone entity. I used the “recommended” procedure and licensed the new version using the serial number emailed by Adobe. I also ran the 6.1.1 patch. This new version shows up as LR 6.1.1 Perpetual license but will not allow me to log out of iCloud under my newly created Adobe ID. I’m not sure yet but it seems I wasted my money on the new perpetual license and should have just rolled back the CC version. Both the CC version and perpetual version have the same problem (it’s the same build, just licensed differently) so there isn’t an advantage in running the perpetual version. If the upgrade is a recent order, you may be able to simply return it for a refund. Just found your instructions, but found that the Adobe website you link to no longer offers the 6.0 /CC 2015.0 version, just a 1 MB patch to 6.0.1 /CC 2015.0.1! The earliest full install there is 6.1 / CC 2015.1. Will that work as a first step before going to 6.1.1 / CC 2015.1.1? How big is it? You want one at 700mb plus. The ones I’m seeing are the 6.0 build, but it’s possible the website is showing different things for different areas. The one I downloaded a month ago was 762.3 mb, called Lightroom_6_LS11. Actually, that was only 2 weeks ago. And I still have a question about somebody mentioning a “hot fix” on Oct 9th. What and where is that? That was the 6.2.1 build, which fixed the immediate Mac crashes but there are some outstanding issues. We’re waiting on a 6.3 build soon. I’ve been putting up with the “force quit” problem, hoping for 6.3 to show up any time . . . . but next weekend I’m going to have several thousand shots to import, so now I need to test whether that new import function will work (as I have not tried to use it yet). The only thing up on that page for Windows users is a 15MB patch – not a full installer – for 6.0 / CC 2015.0. I tried it anyway. I downloaded the zips for that, 2015.1.0, and 2015.1.1, created a restore point so I could go back to 2015.2.1 if the Creative Cloud dashboard wouldn’t let me, and had the Creative Cloud dashboard uninstall 2015.2.1. Unzipped the three downloads and tried to run the 2015.0 installer. Finally gave up and had the Creative Cloud dashboard reinstall 2015.2.1. Is there anywhere else I can get the full 2015.0 installer? Otherwise I’m stuck here in 2015.2.1 until Adobe decides to finally release the promised reinstatement of the fully-functional import module – and it’s been over a month so far. 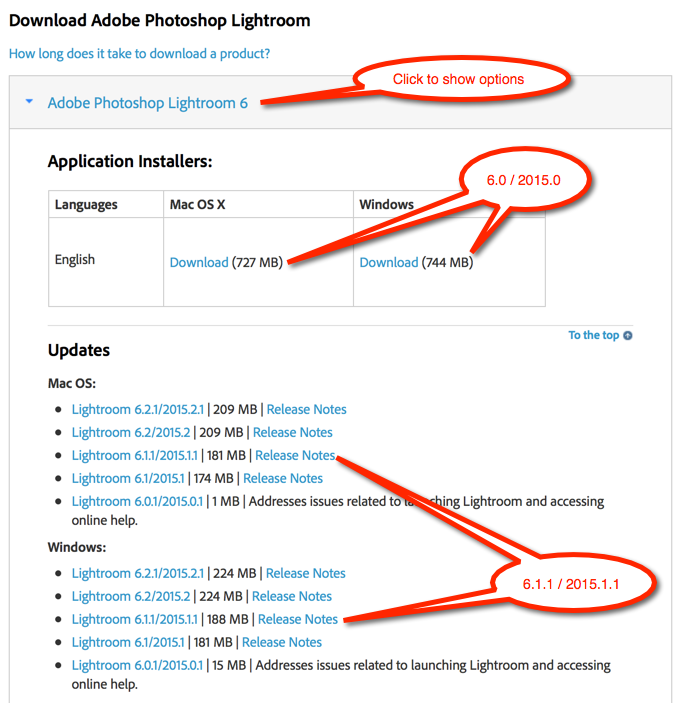 PS – You said Adobe might be displaying different downloads for different areas. I’m in Cambridge, Massachusetts, USA. If they’re still displaying a full installer for 2015.0 for folks on the other side of the pond, how can I get it? PPS I posted this same problem on Adobe’s website, pointing out that their own instructions are linking to a page that no longer has the file they agree is necessary. I’ve just updated the post above with a screenshot showing exactly which ones you need to download. Thank you – that worked. I had a nervous moment when, after the “Application Manager” said the install of .1.1 it was done but became unresponsive and wouldn’t even quit without being booted off the screen by Win 7, the Creative Cloud desktop showed Lightroom as not even installed! I logged out of the Cloud and logged back in and it was back on the dashboard – and then I had to sign into Lightroom manually once to make it part of my account again. It took two or three closes and restarts to start opening smoothly by clicking the Lr icon in the dashboard, but it’s finally back to normal, and I will resist clicking on the Upgrade button until I know it won’t remove important functions from the program, as appears to have become the latest craze. Look at what users of Final Cut Pro went through a few years back, with Apple turning it into iMovie until there was wholesale rebellion from working professionals who discovered to their horror that it wouldn’t even open their files. I assume that you’ll send up a flare when it’s safe to upgrade Lightroom without losing important functions! Thanks for the helpful instructions Victoria, I too had become embroiled in a nightmare LR6 torrid affair and was beginning to despair. I have now removed the latest CC20152.whatever version and reverted back to the 6.0 version. I can’t get the suggested Adobe Updater to play ball to take me to the hallowed 6.1.1 edition, but I really don’t care at this point. Lightroom has come back to life again and I can use it as hoped for. If there are a few buggy bits I’ll take those over the awful mess that is the latest and greatest release. It’s tough to say whether that’ll help. Can you define sluggish in more detail? Where are you seeing issues specifically? There could potentially be a cause unrelated to the upgrade. Since recently upgrading to El Capitan, editing original photos (cropping, manual lens correction, etc) takes forever. Spinning wheel. I have 4,700 photos in my library (different albums). The 1-year old library is on my HD. The iMac is 1 years old. 24 GB storage, 3.12 TB Fusion Drive with 2.8 TB free. My IT guy helped me spec this newer iMac b/c I edit so much photography. Noticed how slow it was after the updgrade. Was going to upgrade LR to help, but after reading this thread, I don’t know if it will help to get to LR 6.1? Is that a 5k iMac? If so, it would definitely be worth trialling LR6 as the new GPU feature is designed to help responsiveness with high resolution monitors. Yes it is. Thanks for the info! Your last comment about the 5K iMac made me go ahead and upgrade to LR 6. I let the application manage the update to 6.4 and everything seems to be smooth so far. It’s MUCH faster, thanks!! I have now re-installed the latest version and have to re-boot lightroom when the panels disappear…. Ah yes, new camera support is a pain! Hopefully the fix won’t take too long, as they’re back in the offices today after the holiday closure. I’ve been having the same problem with side panels disappearing, since I updated to the latest version of LR. It’s now the beginning of March 2017, and I’m rather dismayed that Adobe still haven’t addressed this bug in a timely manner. It’s looking like an Apple bug Randell, being triggered by a specific sequence of events in Lightroom, so it may have to wait on Apple for a fix. I didn’t want to roll-back but to get the newest version 2015.9 which the CC panel does never ever offer. First I uninstalled the existing LR version and installed the base version successfully. Running the patch installer towards 2015.9 immediately showed “Update failed. Updates could not be applied” (translation from my German version). Several attempts to overcome this problem did not help either. I uninstalled and re-installed again, but no success. I’m a Mac user, running macOS Sierra 10.12.4. I followed all documents by Adobe, signed out, signed it, uninstalled the CC panel, re-installed it (now to latest version 4.0.1.188), uninstalled LR, re-installed it, manually removed EVERYTHING linked to Lightroom on my system, installed again. No way to get to 2015.9. Any idea? Help -> System Information just says “Lightroom CC 2015 ”. But I urgently need 2015.9 to recognize RAW files made by my Olympus E-M1 Mark II. So – what to do now? CC panel says everything is up to date, no chance to convince it. The action “Search for updates” is greyed out. Manually installing (zero version first, then the patch installer) just works for the zero version. on a system. What a shame. After removing this file and restarting the CC panel it soon displayed 4 waiting updates. Updating LR via CC panel ended in version CC 2015.9 – gotcha! Hours of looking for the bug … Thanks to the folks at the Adobe user forum (not to Adobe staff)! If you have issues in future, running the Adobe CC Cleaner app between uninstalling and reinstalling the apps is a safer way of fixing any installation/upgrade problems. Sorry, I cannot accept Jeff’s warning. The contents of this file is essentially just one line, saying the Suppress option is to be set to active. No more. If this option shall remove CC’s ability to know more about my apps and available updates they didn’t implement it the right way! I’m a software programmer myself. And if someone like me does no more get ANY update for ANY of his Adobe apps only because of this silly Suppress option – does it sound all right to you? No, this is Adobe’s fault. At least they should have set this Suppress option to 0. At least this is MY OWN solution. 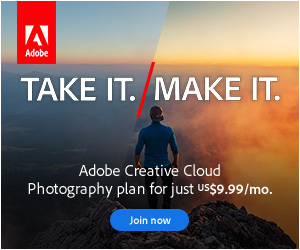 Af Adobe think they have a better one: give it to the users! That’s fine, it’s up to you if you decide to ignore Jeff’s warning, but I have to make that warning clear to other readers so they can make their own decision too. I’m sure you’re a very experienced programmer, but Jeff’s seen the code and we haven’t. If he’s giving this warning, there’s potentially more to it than we can see. Victoria, I agree with you. I didn’t want to underestimate Jeff. And of course it is all right and a responsible action that you point to Jeff’s warning. It is as you wrote it plainly: my own personal decision. But was there an alternative for me? Adobe should have a better solution for customers just in case there is NO way of getting updates anymore. And to be honest: somethimes software developers tend to be extremely cautious because they cannot estimate the knowledge of their customers. This often results in a “better not to do” statement. Thank you for this information. It saved ma a Ton of trouble!! ?? Big thanks for the instructions here. * What does “…the one-before-last dot release..” mean? * If I uninstall LR (in order to next install a previous version), what about all the work I’ve done within my current later version of LR?! All the metadata, edits, organization, retouching, etc! Will all those changes stick around for/with an earlier version, once I install it? * Once I’ve uninstalled my LR 2015.14, and then installed LR6, how do I then update it to ONLY CC 2015.6.1 or LR6.6.1 (since I only have OS10.9.5), without it updating to later versions? * Once I have CC 2015.6.1 or LR6.6.1 installed, how do I get it to see my images and their edits/retouches/metadata/tagging/etc from when I had 2015.14 installed? This post is a little out of date now (it doesn’t apply to Lightroom Classic), but essentially you need to uninstall, reinstall 6.0 then install whichever patch you want to update to (so 6.6.1 in your case). Going between dot releases of the same version e.g. going to 2015.14 to 2015.6.1 or between 6.14 and 6.6.1 won’t affect your catalog. It’ll open as if nothing happened. That changes in more recent versions (e.g. LR Classic 7.2 can’t understand new profiles in LR Classic 7.3) but that wasn’t a problem for the 2015.x and 6.x series. BIG thanks. I finally got around to it…. Per your instruction, I uninstalled LR 2015.14, installed 2015.0, installed/updated to 2015.6.1 – and now, LR launches! One of these days, I’ll update my OS10.9.5 to more recent OS that will work on my late 2011 MBP, but for now, I’m back up and running. Thanks again, and all the best to you! !